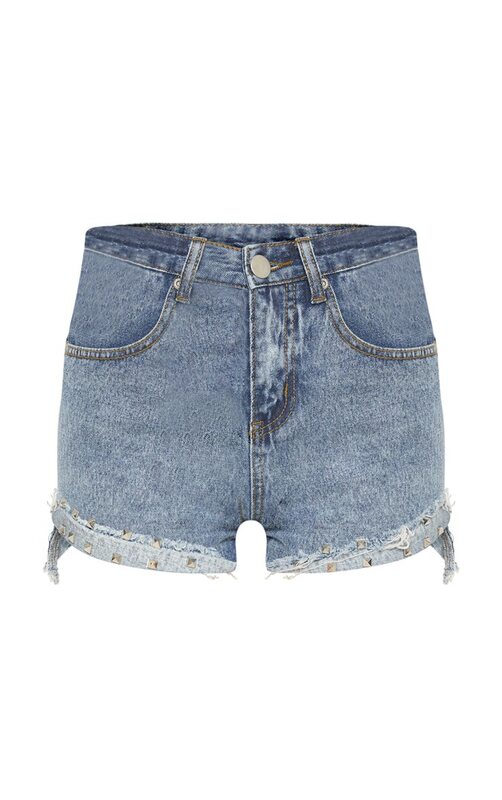 Update your look with these denim shorts girl. Featuring an acid wash denim, studded turn up details and mini short length, these shorts tick all the boxes. Team with a loose cropped tee and fresh kicks for a look we are loving.